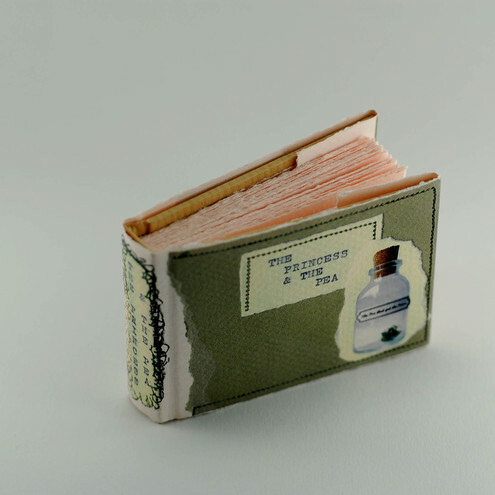 Another find I came across at the GNCCF were these delightful miniture books by Alix Swan which I just had to share. Alix creates these tiny books by 'fusing old and new technologies through found materials, original drawing, digital photography and images, stitch, collage and book binding techniques'. Bringing back fond childhood memories and making me want to dance again, her adaption of the red shoes is just lovely and these tiny red slippers are just adorable! 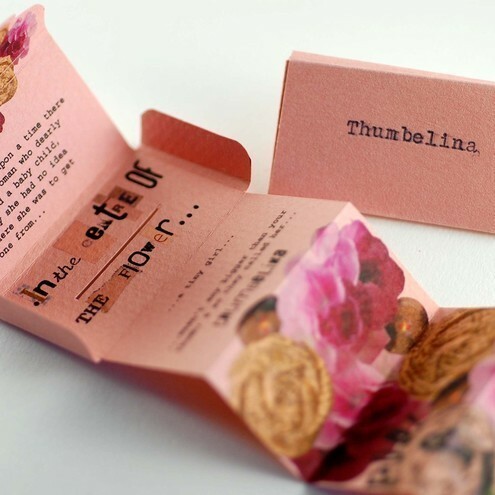 A tiny envelope holds a beautiful concertina book telling the wonderful story of Thumbelina through gorgeous imagery and text. 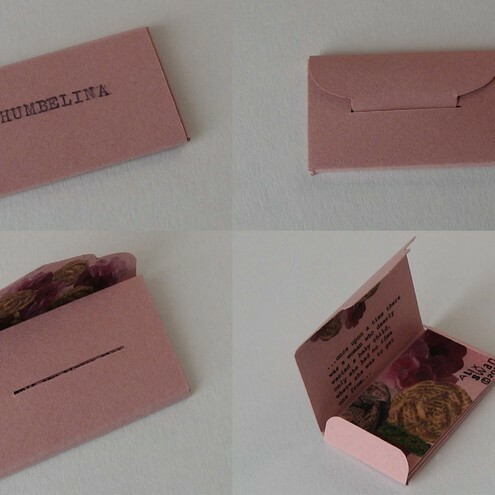 I love the simple typewriter pressed cover. 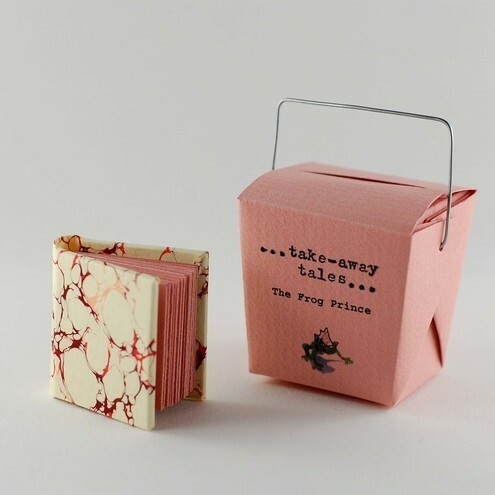 This take away box container is such a clever creation and these miniture hard bound books are truely amazing. I love the collaged cover of the Princess of the Pea. Such wonderful talent and hugely inspiring in so many ways. These gorgeous minitures would create a charming, quirky and original gift.